Many printmaking processes require 'registration' of multiple layers. The better your ability to line up the layers, the more accurate your output. and in their bag of tools they had some registration pins, which I loved! with a precision machined stainless steel button, with multiple welds for strength. 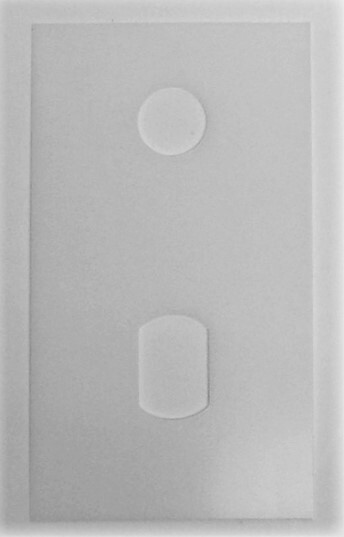 Both the tops of the buttons and the bottoms of the bases are hand-polished to prevent scratches. which helps prevent movement and makes the pins easier to handle. 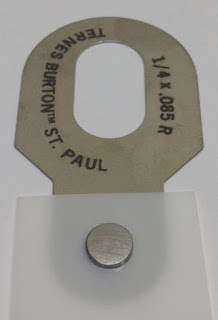 The pins are used with thick mylar tabs with holes. 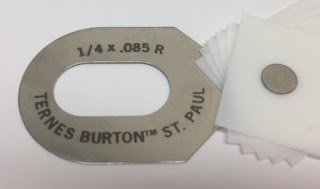 These are attached to your paper for perfect alignment. as well as the thickness of layers being attached to the pin. The most common register pin they sell is the 1/4" x .085". This means that the button is 6.35mm (1/4") in diameter, and 2.16mm (.085") high. However, they come in a variety of heights, round and elongated buttons. as you don't want the button to leave an indent in your paper as you take an impression. 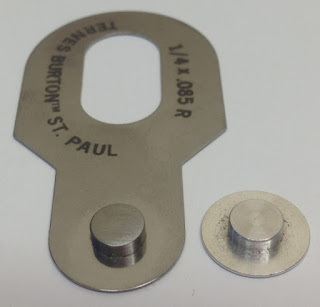 The most simple way to use them is simply using a hole punch directly into the paper. 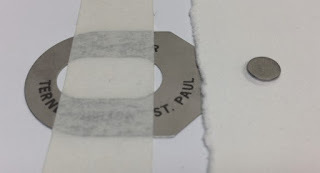 and you need to trim a strip of paper to remove the holes from the finished print. To aid with alignment, you can purchase a bag of stripping tabs (made of heavy mylar). the system gives perfect registration system, and is ideal for woodblocks and lino prints. To use the pin and tab system for an edition, first prepare all your paper as usual. 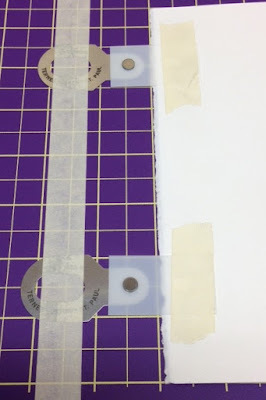 Using a marked board or cutting mat, tape down the tabs using masking tape or parcel tape. 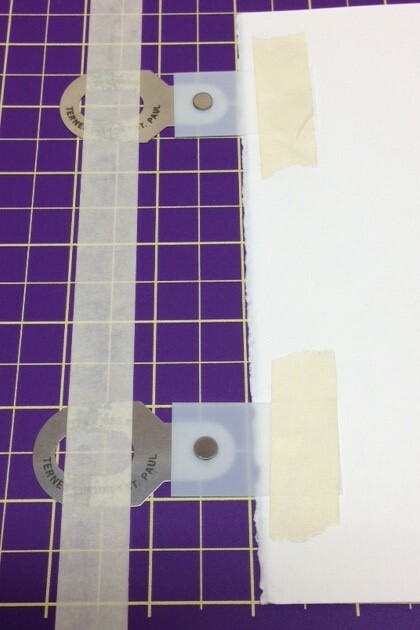 Align paper to the grid, attach the tabs to the button, and tape tab to the back of each sheet. Repeat for the whole edition. Even if the paper isn't perfectly square or uneven size, it works perfectly. Once you've registered your first print, all the others will snap to the same spot exactly! You can also buy the same buttons as individual 'assembly pins' to create you own registration board. I'd really love the help of a couple of you to help me test these out, to give a review on this product. to go into the draw to win a pair of pins and some tabs [NZ residents only].